The possible successor of Galaxy S is getting leaked and brings some precious information about the future Galaxy S2 along with a picture and specs list. So, let’s reveal the goodies and see what this baby packs. Features include a 4.3 inch SAMOLED2 display with 720 x 1280 pixels resolution and 340 DPI, a 8 megapixels camera capable to record full HD video and a 2 GHz processor. Also it has a 1 GB RAM, 4 GB ROM, 32 GB storage with microSD slot for cards up to 32 GB. Speaking about connectivity Bluetooth 3.0, Wi-Fi and A-GPS are included. Other features include an accelerometer, gyroscope and proximity. Let’s not forget about the latest but not the least important aspect, which is the OS, and it appears the future Galaxy S2 will run Android 3.0. 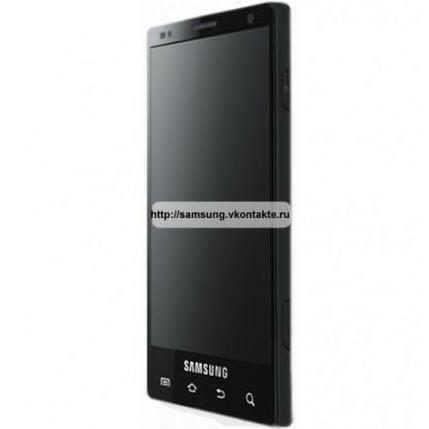 Samsung Galaxy S2 release date is expected to be in Q1 2011.